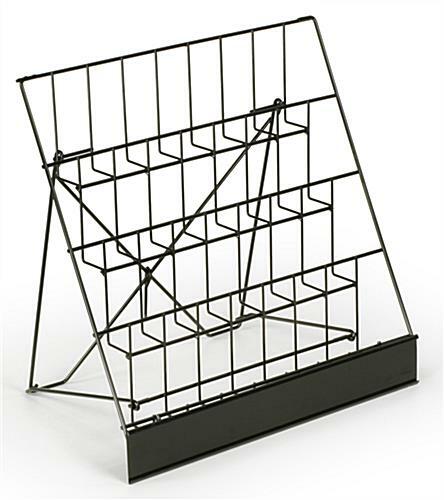 This wire display is a space saving product rack for retailers. 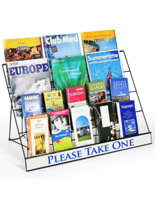 Wire displays are most effective at capturing customers attention. 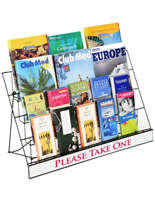 This wire rack has the flexibility to exhibit any display product that fits into the 2-1/2" deep pockets. 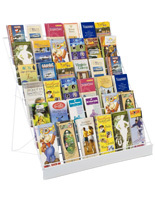 Books, magazines, brochures, cards and candies are suitable products to be placed in this display holder. There are 4 levels of open rows to promote your products. 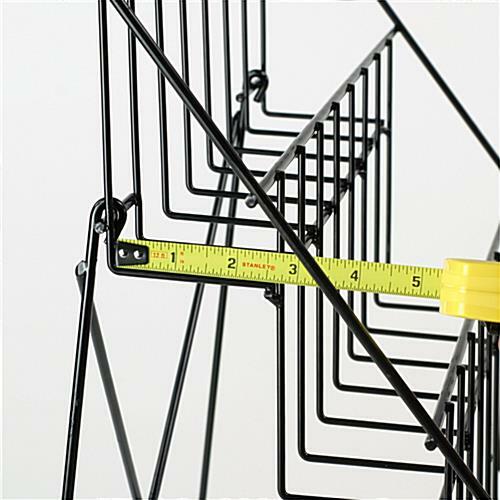 Wire displays, also known as a table top racks are made of strong, durable black glossy wire. 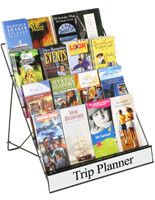 This counter top rack is commonly found in book stores, souvenir shops, grocery stores and other retail settings. 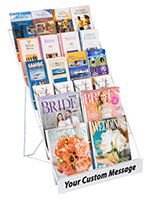 This tabletop rack also comes with a black sign plate for you to post 18"w x 2-1/2"h messages. 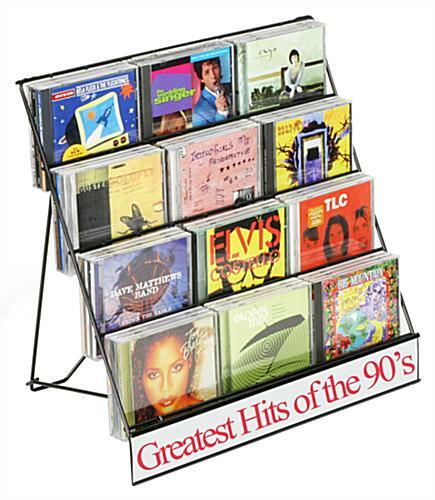 We do not include a printed message for the sign channel, the "This Week's Top CDs" inserted sign is pictured only as an example of what your custom sign might read. This product works fine for the purpose that I ordered them for. Quality is good for the cost. Hi Rue! Thanks so much for taking the time to review and snap a photo of this great display! We'd love for you to enter this in our #displays2ghost Halloween display contest! Check out your email for more info. We can't wait to see your future displays! I bought this rack for travel purposes and it's too big to fit into a standard carry on suit case. But the most important thing is the sharp edges and poor welding points. I've had to take a file and rework this product to make it safe. THIS SHOULD HAVE BEEN DONE BY THE MANUFACTURER! I realize that you get what you pay for and I certainly got what I paid for. I will try to make it work for me but I would not recommend this product to anyone. Hi Ken, We are so sorry to hear about the condition your wire rack arrived in! We certainly understand your frustration. One of our customer care specialists will reach out promptly to assist. Thank you for letting us know and for your patience! 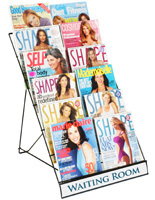 This display rack is perfect for my new product line. 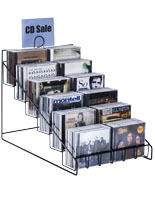 They are a similar footprint to CD's and this rack looks like it's made for them. It takes up minimal space and is sturdy without being bulky.